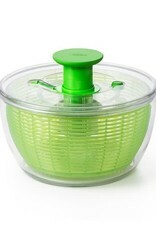 For fast and easy salad preparation, try the award-winning OXO Good Grips Salad Spinner. Simply press the soft, non-slip knob to start the basket spinning. 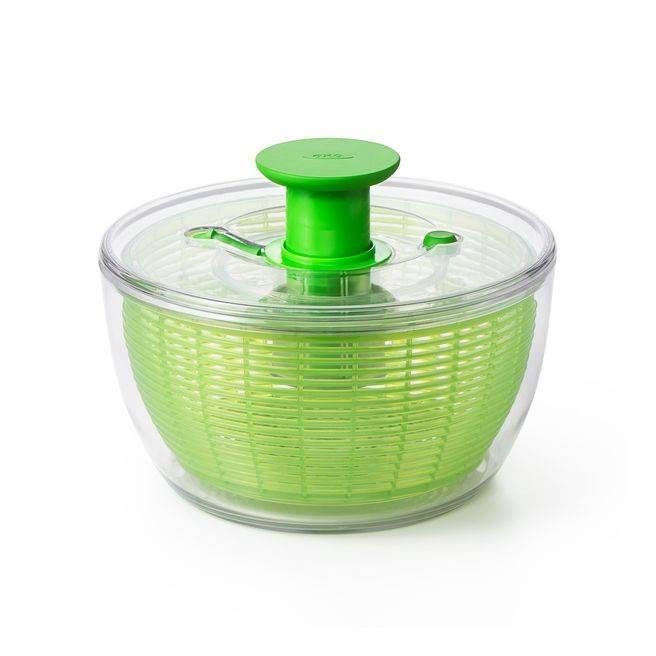 Easy, one-handed operation makes this Salad Spinner a pleasure to use, and a built-in brake stops the Salad Spinner immediately for easy unloading. The bowl doubles as an elegant serving bowl and a non-slip base keeps the bowl steady on the countertop, even through vigorous spinning at top speeds. The lid comes apart for easy, thorough cleaning and is flat for convenient storage.